No matter what your design style, need, taste or budget there are fencing solutions available. Our staff at Northampton Gardens Inc. will work with you in creating a backyard landscape design that can create a series of outdoor rooms that serve different purposes, whether you want to entertain, play, or simply relax and enjoy mother nature. A good backyard landscape design will create a series of outdoor rooms that serve different purposes. 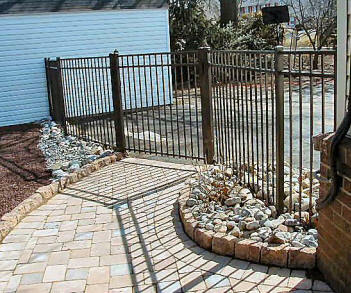 Fences play a diverse role in landscaping, they help solve problems and create opportunities. Exterior fences work just like walls indoors they can enclose a space such as a swimming pool, property or vegetable garden. Partition fences help to define space in a more open way, improve home safety, can help control views, and keep your home private and safe. Fencing design is about location and configuration as well as home safety. Due to the flexibility of fencing, it can take on virtually any alignment from long sweeping curves to small enclosures. 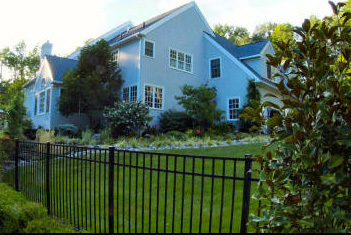 Northampton Gardens Inc. can design your fencing to be a strong design element or made to disappear into the background of the landscape. NGI can help make you make these decisions to create a landscape that is both attractive and functional. There are a few very important kinds of fences; for example, deer fencing is particularly challenging due to the scale of rural landscapes and the cost of fencing expansive areas. Recent innovations have yielded new and unusual designs that prove equally effective as very tall barriers. For historic or cottage style living, the picket fence has become totally maintenance free. Integration of metal posts has also solved problems with rotting earth to wood anchorage. 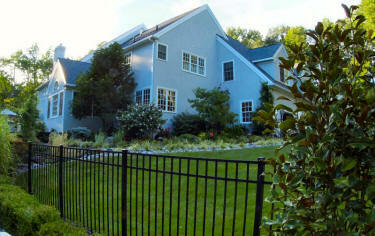 Northampton Gardens Inc. offers many options in fencing materials. Fencing is more affordable than ever. We can work with any budget. Vinyl fencing , offers a great range of color and style. 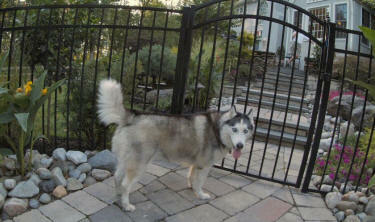 Aluminum fences, are light weight and far more affordable. 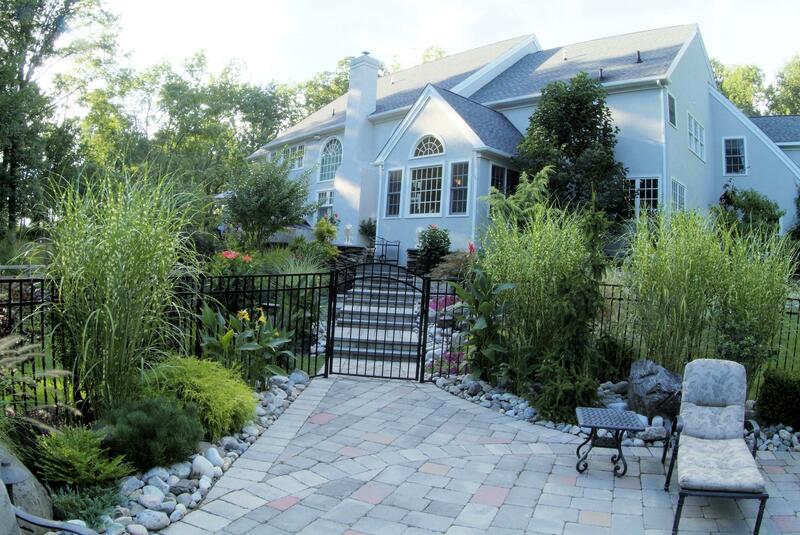 We go beyond traditional chain link fences and will bring fresh new looks to your landscape. NGI can design and install all your fencing needs.